As we head into the new year, we were curious (and thought you might be too) to find out what Projections most popular articles were in 2018! Here's what human resources and labor relations pros focused on! To date, we’ve published over 600 blog posts on UnionProof, Projections, and A Better Leader. To put that into perspective, that’s equal to about a 2,500-page college essay or 2.3 copies of A Game Of Thrones. So we dove into the data and uncovered the top 7 articles of 2018 (plus some great additional material ), so you can find the best strategies for employee engagement, leadership and building your UnionProof culture in 2019! One thing we noticed in 2018 was the reoccurring theme of culture. It seems companies today are far more focused on creating an environment where unions are unnecessary - rather than trying to put out fires where they pop up. 5 Traits of A UnionProof Culture was our hands-down most popular post of 2018! Another vital topic in 2018 was decertification - how can a company become union-free without overstepping legal bounds? Back in April, we published Engaging A Union Workforce, all about how to show employees that they are stronger when they're directly connected to the company! Culture popped up again related to leadership, over on the A Better Leader blog. Developing a Coaching Culture Through Leadership reminded us that leaders must ensure employees are always informed and have a voice, making your business union proof. Unions become irrelevant in an issue-free workplace where employees are engaged and feel free to discuss opportunities and challenges with management. Creating a great foundation for the future was also high on the priority list for 2018. 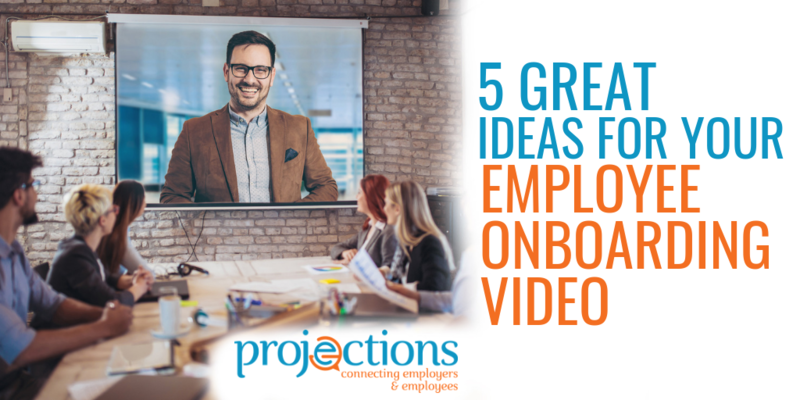 How To Create A Stellar Orientation Video provided our readers with 6 easy steps to prepare a consistent and powerful new hire message! While this was a fantastic article back in March, we think maybe the image of someone sleeping on their desk might have resonated a little too much! 11 Subtle Signs Your Engagement Efforts May Not Be Working provided our readers with eye-opening insight into what they could change up to get greater engagement. Of course, everyone loves powerful insight! The post-Janus article, 9 Things You Need To Know About the Role of Unions in 2018 really struck a chord over on LinkedIn! From Human Resources to collaboration, contracts and flexibility, and even the cost of unionization, this July article will reach far beyond 2018. Do We Still Need to "Avoid Unions" in 2018? Want to Keep Up With Us in 2019? Introducing the new workforce: Gen Z (aka iGeneration)! By the year 2020, this youngest generation of workers, Gen Z employees, will account for 20 percent of the workforce. Born during or after 1995, the eldest are 23 years old and are already working side-by-side with four other generations: millennials (Gen Y), Gen X, baby boomers and the silent generation. The oldest millennials are 38 years old, so Gen Z has multigenerational leaders, challenging your organization to develop effective and productive communication systems, leadership skills, and training and development programs. 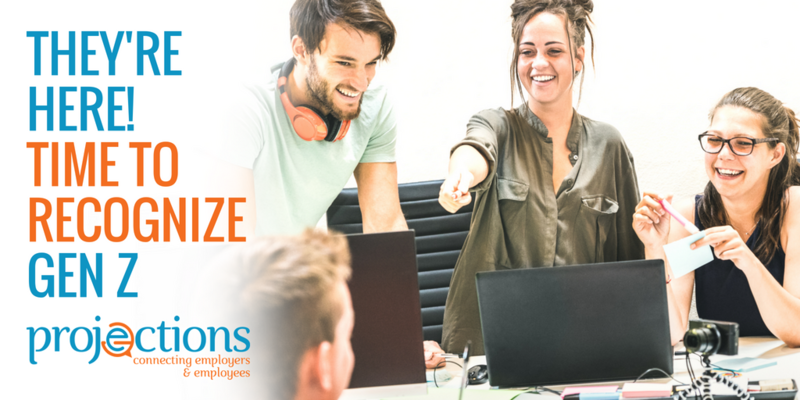 Every generation has different perspectives about employment and careers, so it’s time for you to dive into understanding Gen Z employees in order to maintain successful HR practices that engage the whole workforce. What Is Gen Z Thinking? Just when you’ve finally learned how to successfully engage millennials, along comes Gen Z. As the first digital-native generation, millennials have driven significant changes in the workplace, from workplace design to embracing social responsibility. Gen Z employees are entering the workforce as employees who are even more comfortable with technology, but their perspective on and experience with technology tools are much different from earlier generations. A Deloitte study created an informative picture of these young people. Gen Z is skilled with technology. Unlike millennials, they grew up moving rapidly across a variety of technologies — smartphones, tablets and laptops — and social media programs – Instagram, Snapchat, Facebook, etc. They are entering their careers at higher levels as most “typical” entry-level work is now automated. Gen Z is very concerned about their ability to communicate and forge strong interpersonal relationships. This may be due to the fact that technology has negatively impacted their cognitive skill development, and they recognize that their social skills, like critical thinking and communication, are weak. Gen Z absorbs information in small bites and is visually oriented. This has implications for your training and communication systems. Learning programs that deliver information in easily digested, intuitive modules are attractive to Gen Z employees. Adding soft skills development, such as problem-solving and leadership skills, to training and development can close technology-created gaps in communication skills. This begins with your onboarding program, which should initiate the education process for developing cognitive and communication skills — and continue through all your training programs. You should use mixed training media that is visually stimulating, easy to access and use, flexible and available 24/7. Providing mobile access is critical to successful Gen Z training, and enables you to deliver continuous learning opportunities. Your managers will also need to hold in-person meetings to supplement the technology-based training and encourage Gen Zers to collaborate on designing work environments that enable people to work as teams, in person or through collaborative technologies. Gen Z employees also value diversity and are attracted to employers who have similar values and will provide learning and experiential opportunities to work with people who have diverse backgrounds, origins and preferences. In this regard, they are quite similar to younger millennials. The Ernst & Young survey of Gen Z interns found that they prefer millennial managers over Gen X or Baby Boomer managers, likely because some of their perspectives intersect. Since it’s estimated that millennials and Gen Z employees will make up approximately 75 percent of the workforce by the year 2025, this will become a fact of life anyway. Your leaders need skills that enable them to create a cohesive, collaborative workforce within the context of a culture that embraces diversity and innovation. Could anything seem more challenging from an HR perspective? Managing and motivating a four- or even five-generation workforce that is growing younger and older at the same time requires leaders who can build respect and trust among them. With top-down support, it’s the front-line leaders who maintain a positive corporate culture and engage employees. You want to develop leaders who can identify and promote shared values across the generations, creating a bond. A good leader is accessible, helps each employee understand the importance of their role, holds people accountable, challenges employees to perform at their highest level and meets their unique needs. An effective leader understands generational differences and leverages that knowledge to engage employees. For example, baby boomers prefer face-to-face communication and Gen Z needs to develop interpersonal communication skills. Millennials and Gen Z are deeply interested in working for organizations that are socially responsible. Millennials use social media to collaborate. Gen Z employees are natural collaborators and use social media to facilitate real world connections. Both baby boomers and Gen Z desire face-to-face meeting opportunities. Do your leaders develop mixed-age collaborative teams? Are younger and older workers given opportunities to interact with knowledge sharing from both directions? Do your managers know how to leverage the differing generational motivations to engage all employees? Do your leaders understand the importance of personalized communication skills? Do they have inclusive skills that strengthen employee engagement among all employee generations? These are the kinds of questions you should be asking about your organization’s leadership skills now to develop positive employee relations in a multigenerational workforce. Finding common ground to bring people together based on their preferences and needs in a productive manner promotes cohesiveness and creates a foundation for leading a multigenerational team. You can develop customized employee videos, web training and eLearning programs that deliver information in a desired format and leadership training programs that address connecting with and managing a multigenerational workforce. A multigenerational workforce will be a fact of life for decades to come. Consider this: In 16 years, the oldest of Gen Alpha, the next generation, will be 21 years old and entering the workforce. Learning how to connect with a multigenerational workforce now will prepare your organization to engage all employees well into the future.